Zelda Symphony NOT Coming to Australia? In a somewhat surprising turn of events, it appears that the Zelda Symphony will not be heading to Australia afterall. Despite the hidden coding found within the Australian Zelda 25th anniversary page as well as the recent inclusion on Ticket Master, it seems that Australians won’t be getting the Zelda Symphony concert as originally thought. The folks over at Vooks, who previously reported on both the hidden coding and the ticket master news bit got word from Nintendo of Australia this afternoon. They didn’t post a quote or response from Nintendo of Australia, but instead just stated that they have confirmed the news. Here is what Vooks wrote on their website. The Zelda Symphony Concert isn’t coming to Australia… Nintendo Australia confirm what we all didn’t want to hear… Bad news everyone, despite finding code hidden in the 25th anniversary website and a listing on the Ticketmaster website, The Legend of Zelda: 25th Anniversary Concert is not coming to Australia. Nintendo Australia confirmed the news for us this afternoon after seeing our story over the weekend. It’s unfortunate for those living in Australia but this could also be a knock for those living in countries across the world. Australia is not the largest of gaming markets, but it’s still fairly important to the industry. Not having the concert go to Australia likely means it’s not going to reach much of the world. We’re still waiting to hear on the tour dates here in America, as Nintendo has promised a nation-wide tour sometime in 2012. For now, all we have are two dates, October 21st in Los Angelos and October 25th in London. 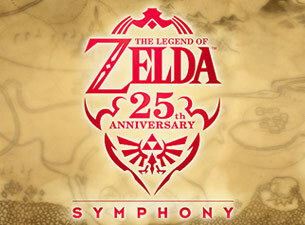 Stay tuned to any new pieces of news that pop-up in regards to the Zelda Symphony Concert.